Five large won't get you much in an almost "new" car these days, even the worst offending snoozfest Kia Stinker is worth something over $10k when the warranty is still intact. 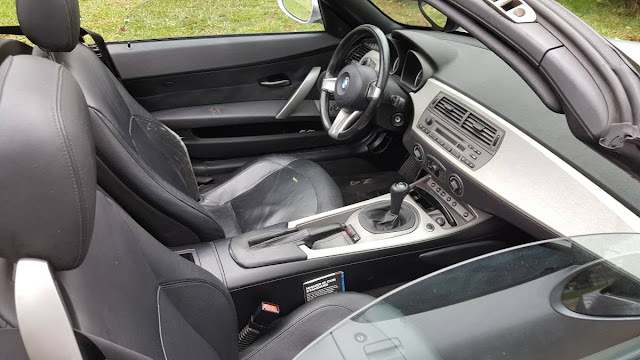 But a 15 year old BMW with 150k miles sends shivers down the spines of anyone who pays for maintenance...but the asking price is stupidly low...so buy it, and when the first thing breaks, just leave it on the side of the road. 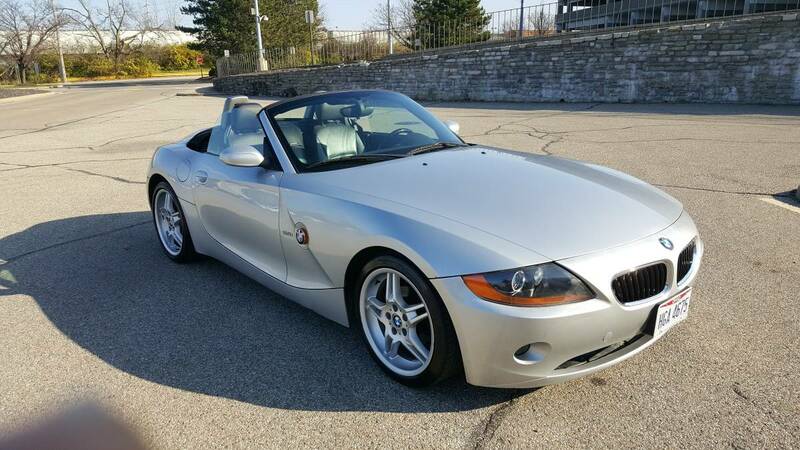 Find this 2003 BMW Z4 offered for $5,800 near Cincinnati, OH via craigslist. Tip from FuelTruck. Up for sale is a very nice bmw Z4, 150k, 5spd, 190hp, inline 6, new top, new front suspension, new alignment, oil change, update M3 18'' wheels and tires at 70%, run and drive nice, front bump repainted, cold a/c, power locks with key remote, must come and drive, will trade for a Porsche Boxster, Thanks for looking. At least while you are driving it you can't see the Bangle insanity going on with the exterior. I pity the person who trades a Boxster for this. Does it make me look like Clive Owen when I tilt the rearview? Yes, but only with the "fun house rear view mirror" option M55...which costs $12,000 MSRP. I've nothing witty to reply with. That was funny. That likely goes along with the "new front suspension". I've never been blessed with BMW maintenance costs, do they often require suspension replacement at 150k miles? By that mileage some of the components may have been replaced twice. Why So Cheap? Let me go ask the new oil stains in the driveway from my 2003 BMW. But how much is going to cost to fix where someone backed a truck into the side of it? Oh wait it's supposed to look like that? BMW's way of saying mixed hard edges with swooping curves in a design.